In our ever-warming world, trillions of indigenous bark beetles are killing billions of mature conifers throughout the forests of western North America and around the world, as they embark on their largest and most destructive feeding frenzy in modern times. In areas where cold temperatures traditionally prevented these insects from thriving, our once-healthy but now water-starved trees are becoming more and more vulnerable to the voracious appetites of these destructive pests. 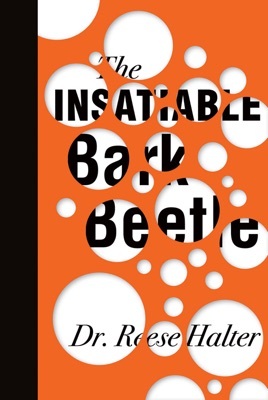 With aspects of both our environment and the economy at stake, Dr. Reese Halter’s second RMB Manifesto provides information on the various types of beetles negatively impacting trees, descriptions of the ecosystems they currently inhabit, and an accessible look at the future humanity may face if we do not find ways to control greenhouse gas emissions and climate change, which are contributing factors to the ongoing spread of bark beetles.